This property is comprised of 8 exclusive apartments, all thoughtfully designed by the current owner (Three 2 bedroom apartments, Two1 bedroom apartments, One 1 bedroom Penthouse and Two studios). The apartments are all beautifully furnished to a very good standard, with open-plan living spaces and neutral interiors that create calm and relaxing homes for holiday-makers and long-term residents. The current owner has installed a key-activated elevator, for access to all floors and private elevator access onto the second and third floors. There is also a fire-escape which can be accessed from all levels. There is a large and welcoming lobby area, and private car-parking at the front of the building which is securely gated. The apartments share an open-air swimming pool and sun terrace with a couple of neighboring buildings, providing a communal pool area for approximately 20 apartments. Westbury apartments has an additional private sun terrace on the roof of the building, for use only by residents of the building. These apartments are in a prime location in Pratumnak Hill, and are popular rental properties. The 3 apartments on the higher 2 floors have good sea views out towards Pratumnak beach, with garden views for apartments on the rear side of the property. This building has direct access onto Pratumnak road, where there are a selection of European and Thai restaurants and convenience stores. The nearest tax-route is within easy walking-distance, with one of the best spots on Pratumnak beach around a 10-minute walk away. 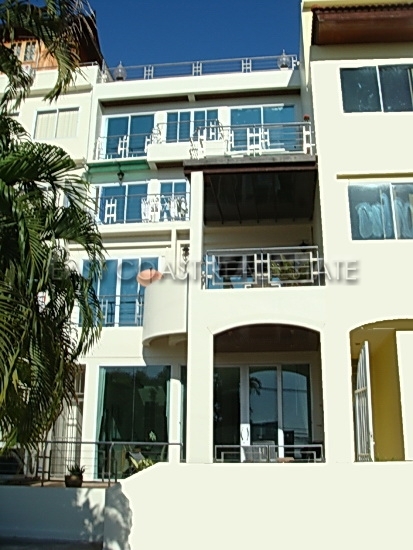 This is an excellent business opportunity for anyone looking to invest in rental properties in Pattaya. With the building being sold under 1 title deed, in Thai Company ownership, this building is ideal for anyone looking for good rental returns in a building that needs absolutely no renovation. Living area : 550 sqm.